I wasn’t sure where to pick back up after such a long absence…so I decided to start with something completely unrelated. My favorite baby gear. So here goes! This monitor is the sole reason I get any sleep at night. It detects the slightest movement and will send off an alarm if the movement stops (ie: he stops breathing). Kael sleeps like a rock and I love being able to look at the monitor and see that he is still ok. Plus, it has fancy features like showing you the temperature in the nursery! 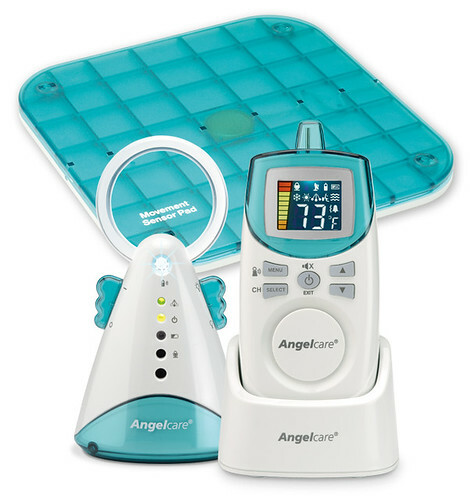 They even have a new one that has video as well, which I hear is super helpful for the toddler stage when they are constantly getting out of bed. I don’t use this at all anymore but this was invaluable the first couple of months. Breastfeeding is hard enough to figure out without having to use one arm to hold the baby in the right position as well! We occasionally use disposables- like when we go out of town or when a babysitter will have to change his diaper. Kael blows out of every brand besides this one. 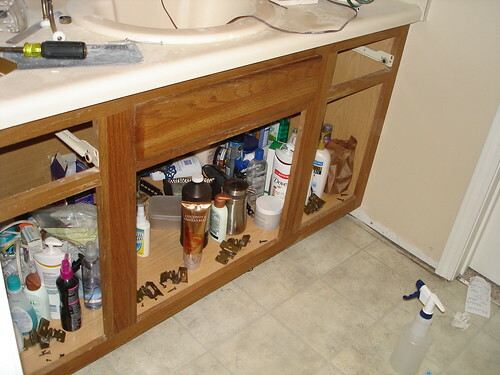 More importantly, they don’t have the chemicals that normal disposables have from the chlorine bleaching process. Love love love these! Almost every time we leave the house, Kael lets a big one loose. And always at the most inconvenient time and place! Rather than lugging my GIANT diaper bag to a place I can change him, I just grab this out of the bag. 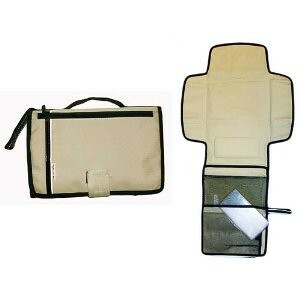 It has diapers, wipes, baggies, a changing pad, and even an extra outfit…all compacted into a little carrying case. So much easier! Um, it gives you two free hands. And no back pain. And the baby doesn’t take up 3/4 of the grocery cart in his car seat. ‘Nough said. I refused to put a bumper on Kael’s crib for quite a while. But Kael is very mobile in his crib and always has been from birth. He would work himself into the side of the crib and would wake up crying with an arm and a leg sticking through the rails each night. Then, one night, he woke up with a leg going out through one rail and his foot stuck going back in the crib through another rail. Enough was enough! This bumper is awesome because he can smash his face up against it and still breathe, but he no longer gets stuck in the rails. And let me tell you, I find him with his face smashed up against the bumper quite often! 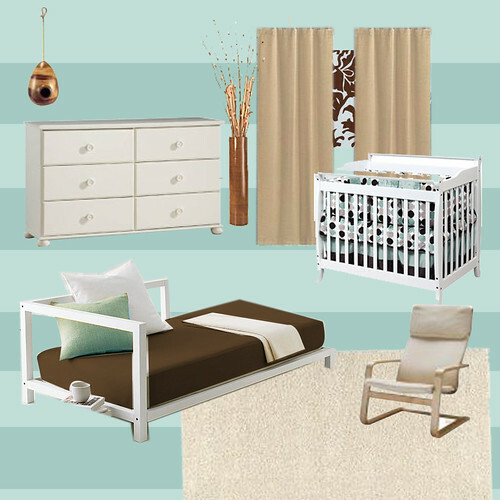 I knew before I got pregnant that when I had a baby I wanted a Poang chair for the nursery. Not only is it super comfortable, but Kael really likes the short rocking motion of it. 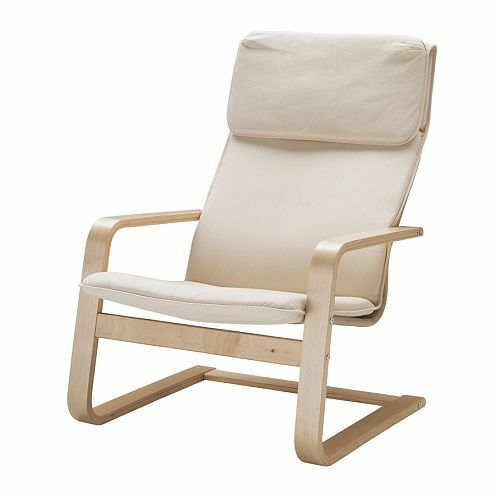 Plus, the armrests are really low on it which is perfect for nursing. Anyone who has used a conventional rocker/glider for nursing knows that it’s a struggle to get the baby’s head to not bang on the armrests constantly! When Kael started sleeping longer overnight, we started having issues with how long his wet diapers stayed on his skin. They never leaked, but one morning he woke up with a beast of a diaper rash. I knew you could buy fleece liners to wick the moisture off of the baby’s skin and into the diaper, so I ordered the Bummis fleece liners…just to find that they were way too narrow to use with prefolds and he would still get rashy on the skin around what the liner covered. So, I went to JoAnns, found a big piece of scrap fleece for $1.50, and made 9 huge liners out of it! With one of these on every night over his prefold, we haven’t had another rash issue since. When Kael did get a diaper rash, this stuff cleared it in a day. It’s 100% natural and it rocks my socks off. We tried to swaddle Kael but on night #2 he was having none of this arm restriction stuff. We got quite a few of these swaddlers for showers, so I still used them, I just wrapped the swaddling part around his body under his arms. 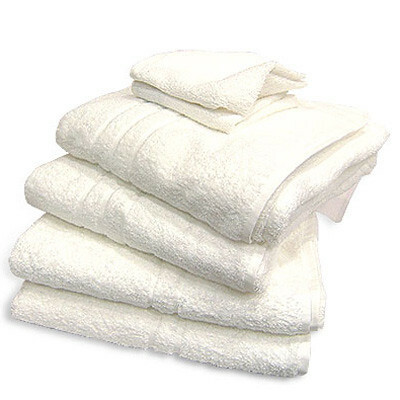 I found that I really like using these and I still use them every night as a wearable blanket. Now I don’t have to worry about a loose blanket in his crib! Not only do loose blankets constantly come off with all his wiggling, but they pose a risk for suffocation. Plus, since he wears some sort of sleeper or onesie under his swaddler every night, the swaddler itself doesn’t get dirty and can be reused quite a few times before being washed. I like these more than the sleepsacks for this fact, as well as being able to dress him cooler and not have the long sleeves during the summer. This bath works as a stand alone in a sink or bathtub or can be used inside of an infant/toddler bath. We use ours as an insert and it worked great when he was a newborn to keep his head steady and keep him high enough out of the water that his face wouldn’t get in the water. It also compacts very small and is great to take traveling to use for bathing in a normal bathtub. I’m sure I missed a million things, so I might have to do a second post sometime in the future. Hope this helps any new moms out there! Saturday at Ikea, I found this. And I had to get it. I mean, ya gotta start ’em young, right? 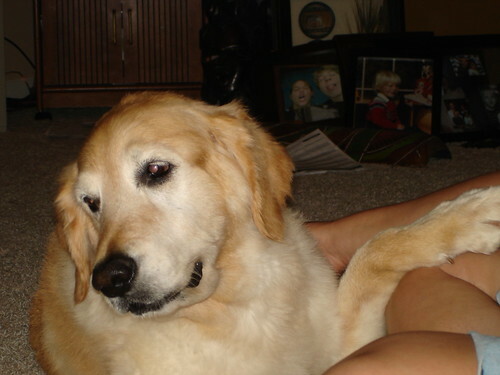 But much more than that, you’ve been a true companion and friend. 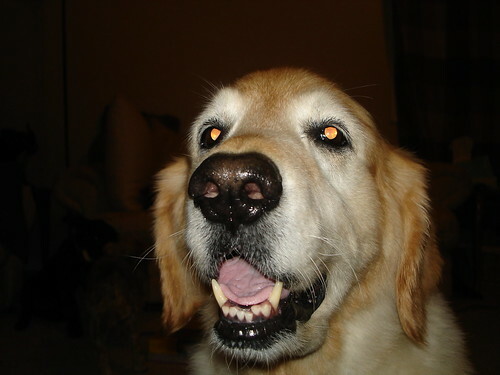 Your fur had truly magical properties. It managed to find a way to stick to everything in sight, and just when we thought we’d cleaned it all up, we’d find more. It was so thick and warm that you would be outside in 20 degree weather, eating snow and panting. Everyone that met you loved you. You had the whole neighborhood smitten in your first week home in Missouri, and you did the same to your new neighborhood in Indy. 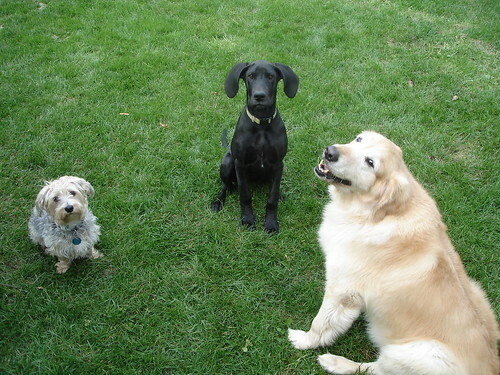 It took you a little while to warm up to Yoshi and even longer to warm up to Penelope, but they adored you from the very start. How could they not? 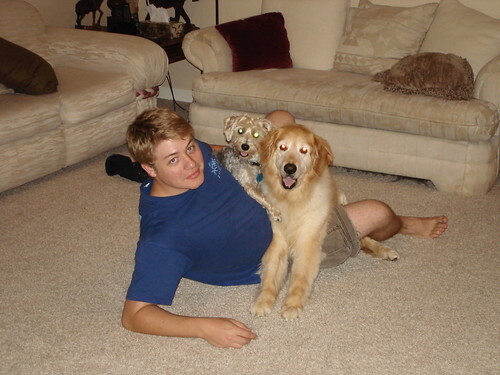 You were so very lovable. Once again, it’s been FOREVER since I updated, but this time I have a good excuse! Our new project has been taking more time and energy than previous projects…and a lot more sleep. Ok, most of you already know. We are having a BABY! In spite of that, we actually have gotten quite a bit done around the house. I did sleep the first 2 months of the pregnancy completely away- my schedule looked something like this: wake up, go to work, come home from work and go straight to bed, wake up, go to work…. But past that, we renovated our kitchen- cabinets and countertops, started on the nursery, and went on a babymoon cruise to the Bahamas! Bathroom Reno: Stage 5- The Tile! So, it’s about time I show some photos of this tile, huh? Especially since it’s been done for…well, you don’t want to know. Let’s just say it’s been done for a while now! I’m not going to do an entire instructional post on how to tile (Young House Love and Bower Power both have great posts already), but I am gonna throw out a few tips and tricks. 2. Make sure if you number your tiles, you do it on the BOTTOM. If you number them on the top, the wax pencil marks bleed when it gets wet. And, even though you think you get it all cleaned up before you grout, you don’t, and then it gets all in your grout…I may or may not be speaking from experience. If you mark on the bottom, it never gets seen or dealt with again. 3. Get good spacers. Not the cheapo X ones that you have to peel out with a tool. No, go to Lowe’s and get Tavy tile spacers. They are easy to put in, don’t get shifted around, much easier to get out, and reusable! 4. Don’t freak out about the time limit on the mortar. We were trying so hard to stay in that 30 minute time window that we were making all kinds of mistakes at first. In the end, it took us over 3 hours to tile and the mortar was only starting to get thick at the end. 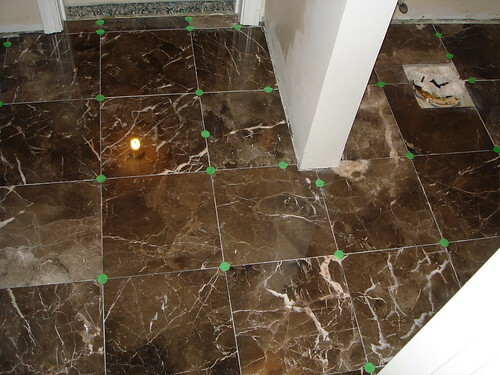 You can always go back and mix up more, but it’s hard to correct mistakes after you lay the tile! So, just relax and get in a groove. 5. Make sure you get the right kind of mortar for the grout. 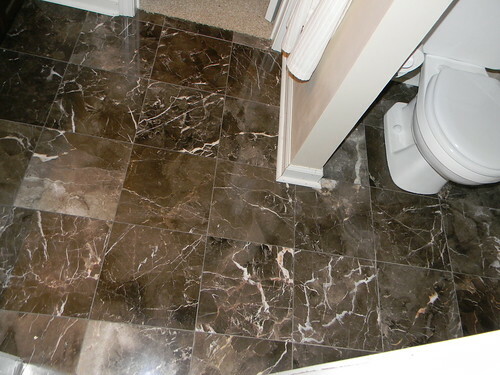 White mortar works best with light color grout, and gray mortar with dark-colored grout. The mortar color can bleed through the grout and if you have a light-colored grout with gray mortar, it’ll darken and dull the color of the grout, and vice versa. 6. Be extremely consistent with how you lay and spread the mortar. I got to where i would do 3 scoops of mortar for each tile, and always spread the mortar with the trowel at a 45 degree angle. This made it a whole lot easier to get the tiles level once they were laid. 8. Get all the grout haze off of the tile that you can with the water and sponge, but don’t freak out if there is still a little haze left (I think it’s impossible for there not to be!). Grab a roll of dry paper towels and go to town buffing the tile. The haze will come off like powder. Or magic. Powdery magic. 9. Don’t forget to read the directions on everything 10 times before you start! You might think you read it right, but go ahead and check. There’s no recovering from mixing too much water into the mortar or waiting 4 hours before you grout instead of 24, etc. 10. Seal that grout! 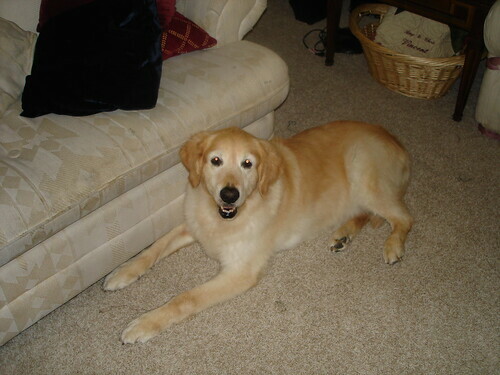 You worked soooo hard to make your purdy new floor, don’t let it get stained! It’s amazing how things that would typically make permanent stains comes straight off the grout with a damp paper towel once the grout has been sealed. So are we ready for some pictures? Yes?! Here are some in-process photos. Now let’s take a look at the old floor (this is the best photo I have of the vinyl…don’t get distracted by the messy cabinet! And here’s the new tile with grout and moulding. Anyone got any good tiling tips to add? We love us some DIY advice! P.S. 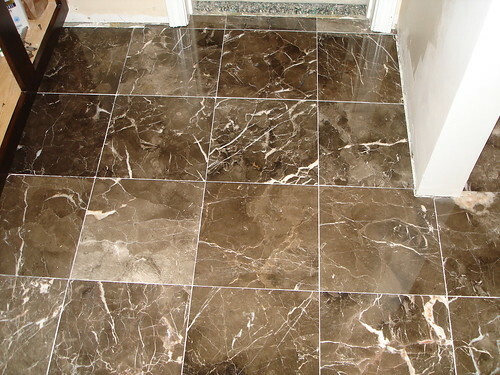 I am totally willing to share more information on tiling to any other novice tilers out there. Let me know any questions you have – first time tiling can be scary! We have a new member of the famiy! No, nothing that exciting….we got a camera! You see, the one we had been using is something around 7 years old and barely functional. As in, it takes about 30 seconds after you press the button for it to actually take the picture. And the pictures weren’t very good. Yeah, it was time for an upgrade. Now we are no photography experts. In fact, we are beyond novices. Chris and I are both artistic in lots of other ways, but photography is not a strong suit. Nor do we know the first thing about operating a manual camera (though we were tempted by the digital SLR’s). So, here’s the verdict: we need a camera, it needs to be cheap, and it needs to take half decent pictures without any real help from us. 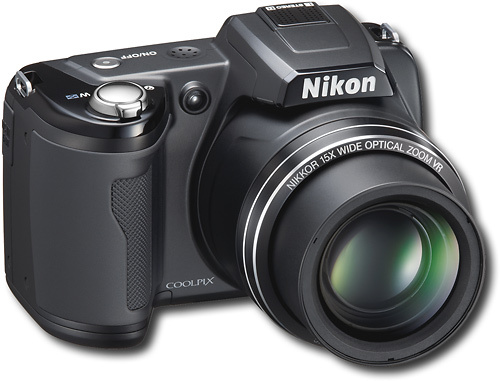 Not only does it meet our basic requirements but it actually allows you to change a few settings manually on it and has 15x superzoom. Sweet. And the best part? It cost a whopping $230 (on sale at Best Buy). Oh, yes. So, what I’m saying is, expect some more pretty (I hope!) 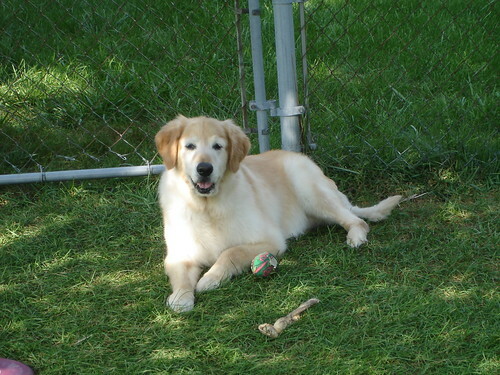 pictures on this site….which means more regular updating. I need accountability people! I have so much to update on that it’s overwhelming. So I will leave you with a hint of what we spent 15 hours doing last weekend, and entire week prepping before that. 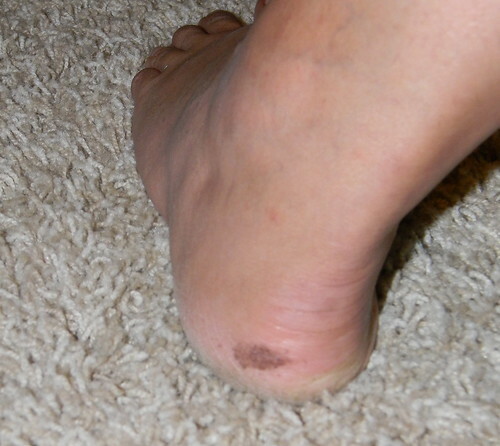 Yes, my heel has been brown since Saturday. Well, the last update about the bathroom…a long time ago…was about our painted toilet (which is still holding up fantastically, thank goodness!). 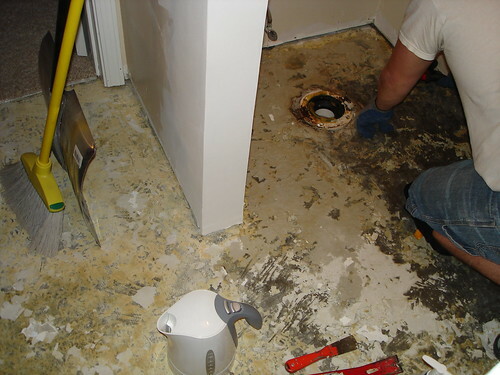 The next step in the renovation was what we were dreading the most…the floor. Neither of us had ever tiled before and we knew starting out with natural stone was going to be a challenge. I totally understand now why the labor costs so much to have someone professionally install tile. They earn every penny! Not that that makes us willing to hire out the work…no, we are suckers for punishment. 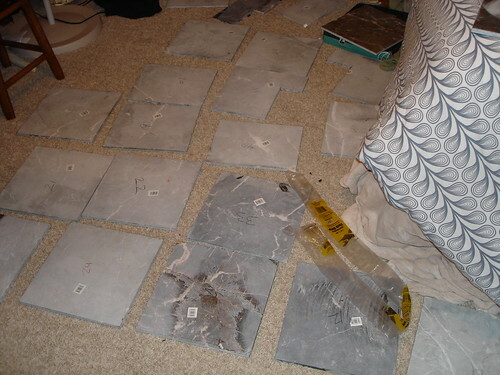 Anyway, here’s how to take a floor from regular ol’ sheet vinyl to gorgeous marble tiles in 10 steps. Sidenote: Our house is on a concrete slab. The prep work will be much different for a house on a crawlspace or basement! 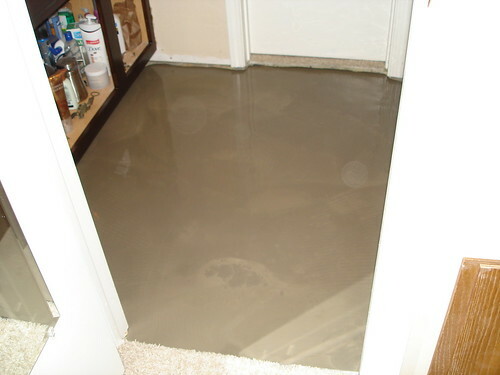 1) Look long and hard at your current floor. Think of how much work it’s gonna be to take that up and tile it. Then think about how much you’re gonna love that new floor. Put on some tunes, it lessens the pain! 2) Start scraping the vinyl off the floor. This is the worst part in my opinion. That vinyl was clinging on to the slab for dear life! After trying numerous tools and vinyl adhesive remover, we settled on boiling water and a small metal hand scraper. About 8 hours and a veeeery sore hand later, most of it was up. 3) Fill any cracks in the concrete with concrete repair caulk. 5) Prime the concrete in the unlevel areas. They sell latex primer that goes with the concrete leveler found in the flooring section of any hardware store. 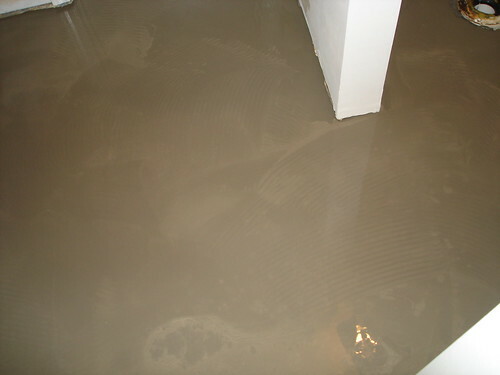 The latex primer assures that your concrete leveler will stick to the floor. 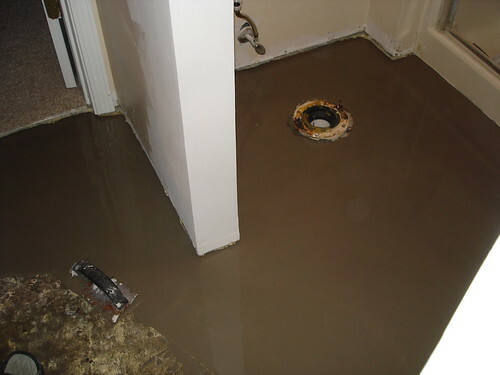 It also helps the leveler not soak in to the porous concrete so that the leveler doesn’t wind up being an unlevel surface itself. 6) Level the concrete. Now you just mix the concrete leveler with water, pour some on to the unlevel areas, and spread it around with a trowel til it’s pretty evenly spread. It will do the rest of the work for you. 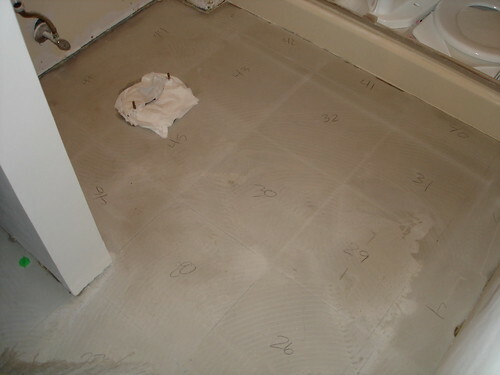 7) Lay out your tile. In such a small area, we knew we were going to have to do a lot of cutting for the edges. 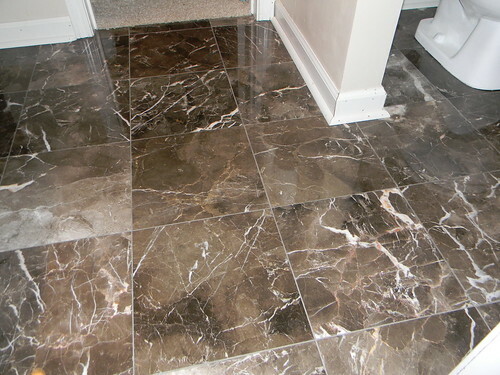 Plus, with marble, every tile is different, so you want to make sure you get to pick and choose which tiles you want to use where depending on their color and how they look next to each other. 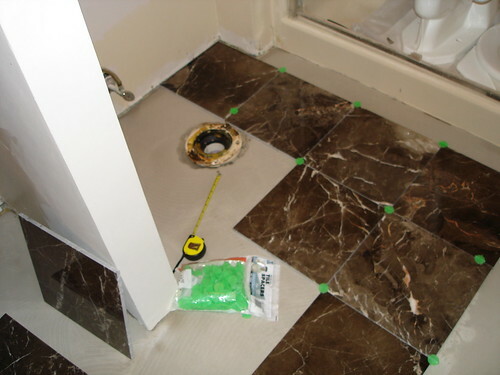 Make sure you use your tile spacers here so that your cuts are accurate. 8 ) As you are picking up your tile, number the bottom of your tile with a sharpie or wax pencil and number the associated spot on the floor with the same number. This is a life saver down the road when you are putting them back in place. 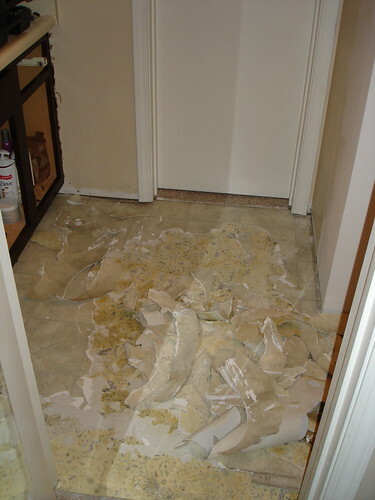 9) Cut the tile. We bought a $80 wet tile saw from Home Depot that has worked great for us. 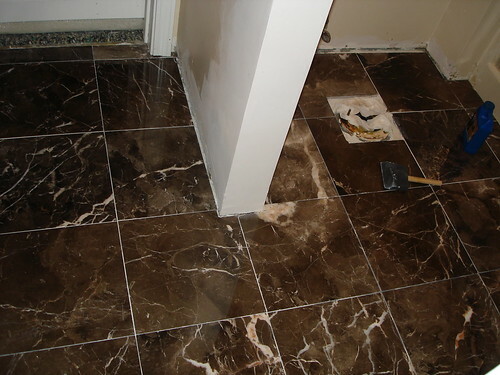 Don’t settle for tile nippers or a tile scorer thinking that it will turn out looking professional. 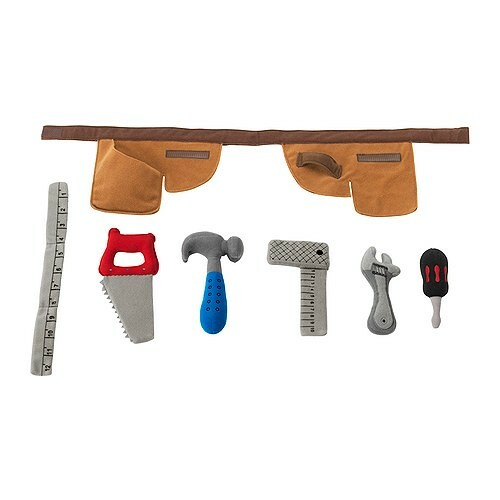 It’s worth it in time and the finished product to get the wet tile saw…or, even better, borrow one! 10) Sit back, pop a cold one, and call it good for the day (all the prep actually took us closer to 5 days with all the dry time in between the primer and leveler). Next up is the actual tiling!